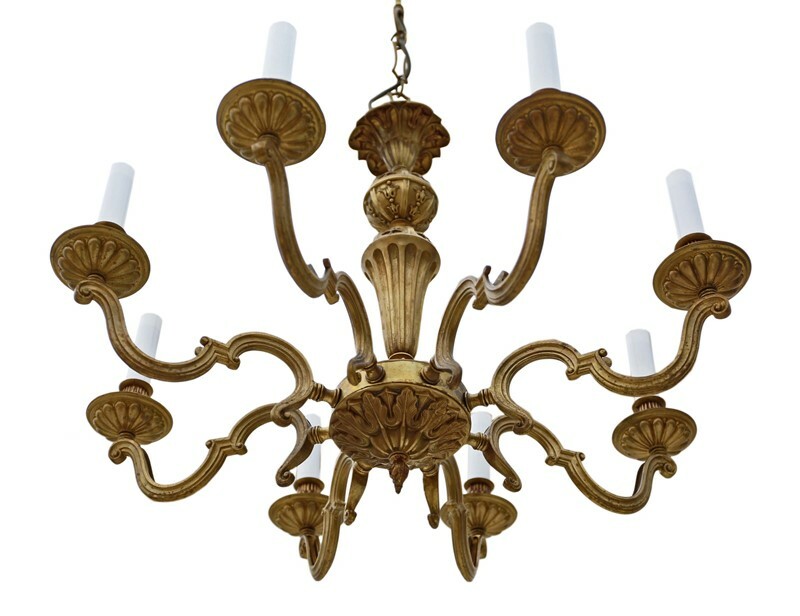 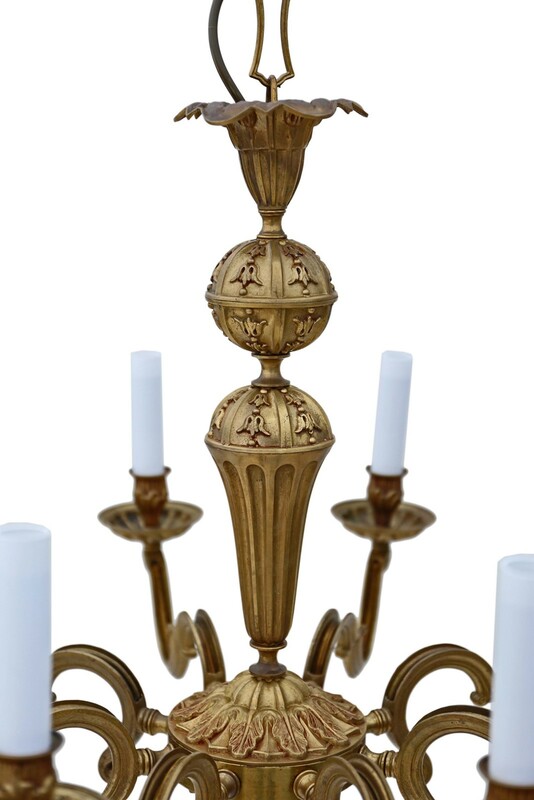 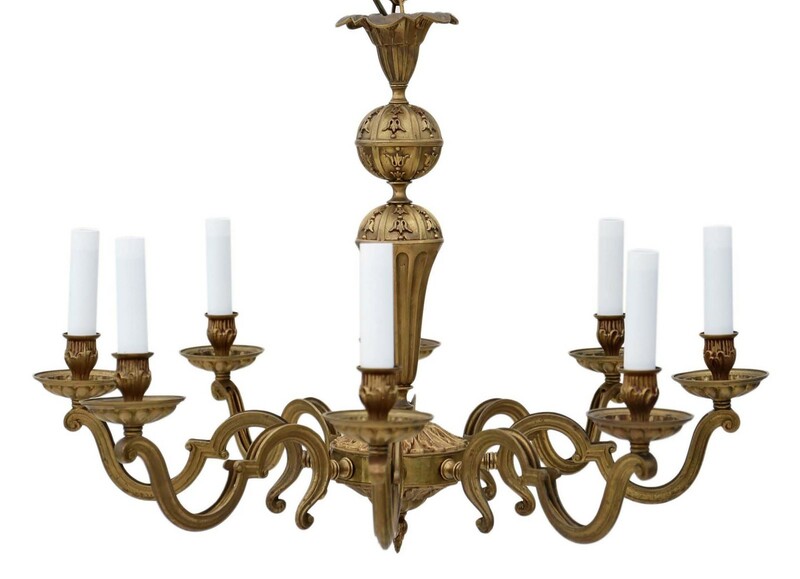 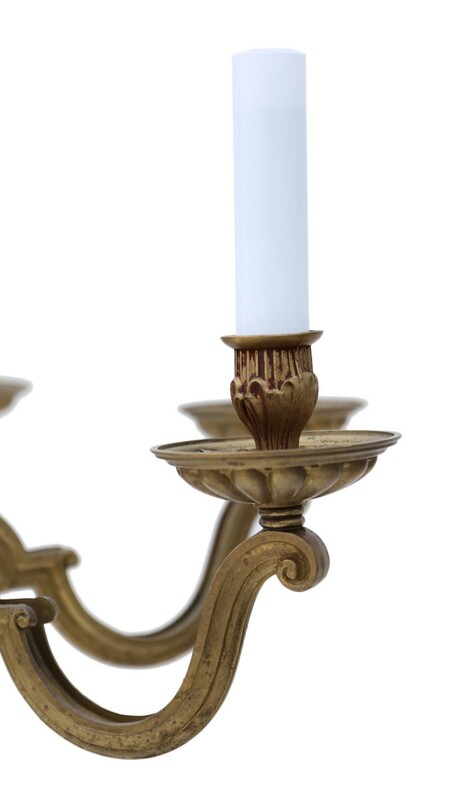 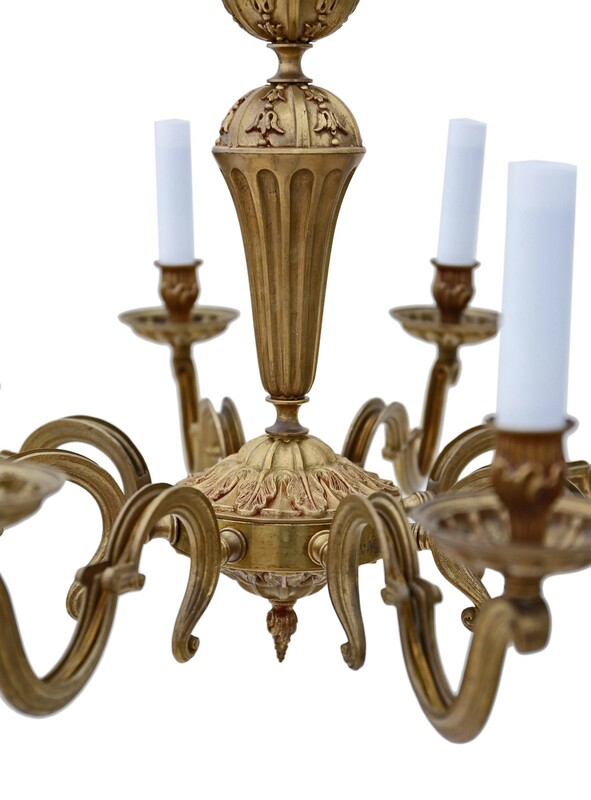 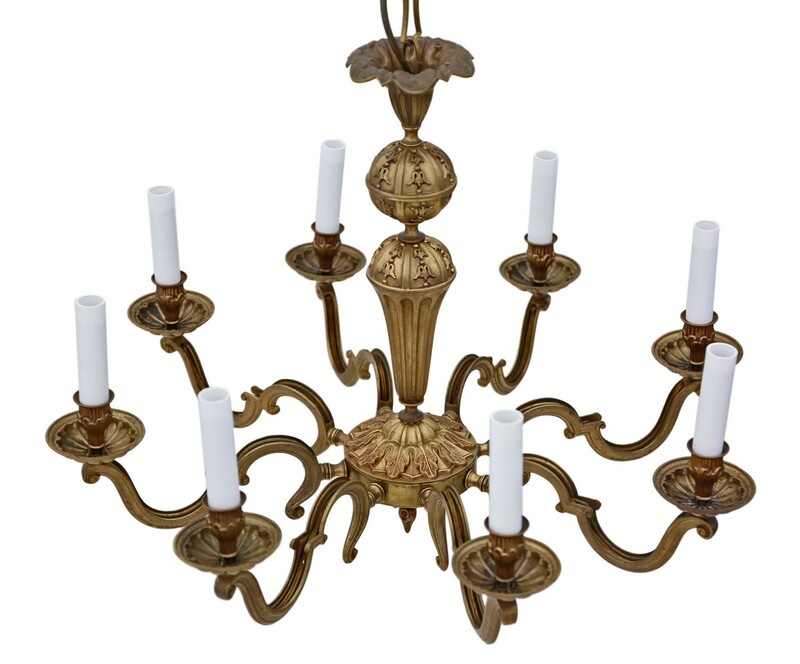 Heavy quality 8 lamp ormolu brass chandelier. 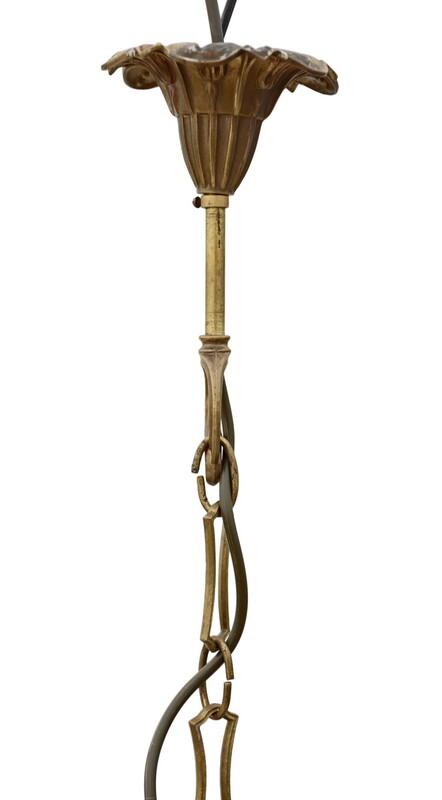 Approximate overall dimensions: 70cm diameter x 90cmH (could be reduced to 70cmH, by removing links from the chain). 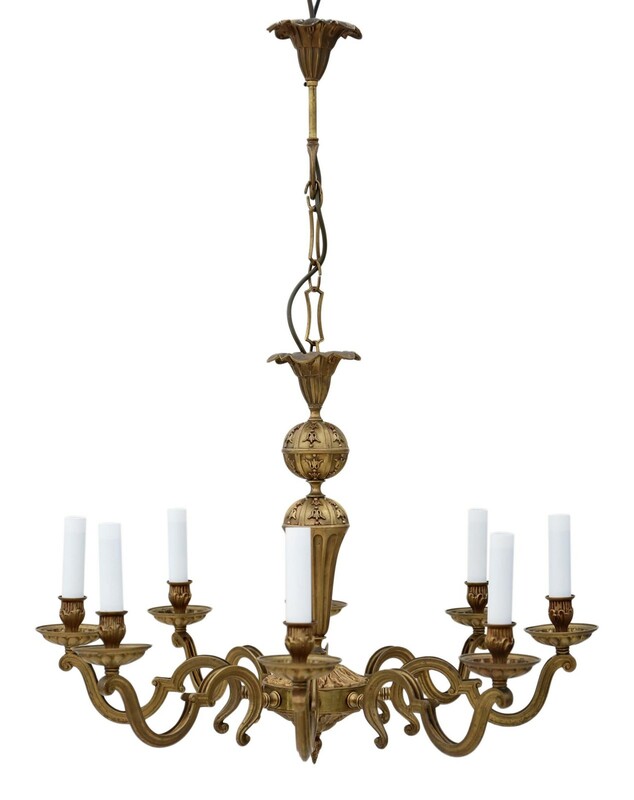 The chandelier is 50cm high alone, without the chain and ceiling rose. 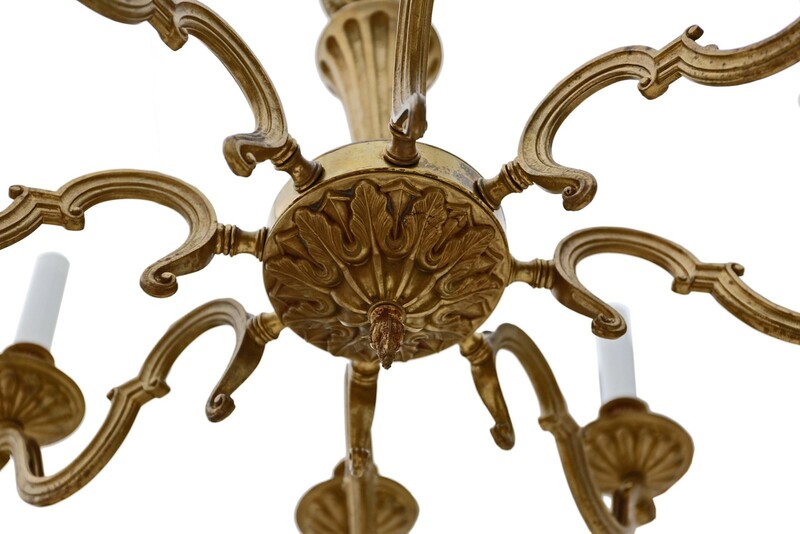 There will be some historic knocks, marks, chips, minor damage and repairs as one may expect given it's age.